An MP from Andhra Pradesh’ Guntur district, Jayadev Galla, on Tuesday became the fourth Telugu Desam Party leader to come under the Income Tax department’s scanner. The I-T department on late Tuesday night conducted a series of raids on several locations connected to the MP, who had last year moved a no-confidence motion against the PM Modi-led government. The raids:A team of officers from the I-T department raided the offices of Galla related, who is also the owner of Amaron Batteries. After the raids, the MP told media that he is being targeted for being an outspoken critic of PM Modi. "It is happening at three locations where my election team was staying. I am demanding an explanation on why we are being targeted. This country under the leadership of Prime Minister Narendra Modi is going down a fascist path. Because I have spoken against him, initiated a non-confidence motion against him, I am being targeted like this,"
Enraged over the sudden searches, the TDP leader along with his colleagues staged a dharna in Guntur's Pattabhipuram, following which he reached the collector's office. TDP’s woes: Recently, the I-T department had also conducted raids on the residence of Mydukur TDP candidate Putta Sudhakar Yadav. Yadav had at the time cried foul saying that he had paid all taxes promptly and the raids were an "election-eve conspiracy" to defame him and leave his voters disillusioned. Besides Yadav, TDP candidates Ugra Narasimha Reddy and Kovelamudi Ravindra also came under I-T scanner prompting protests from Andhra Pradesh State Road Transport Corporation (APSRC) Chairman Venkata Subba Reddy and TDP MP CM Ramesh. The party leaders even lodged a complaint with the Election Commission last week and claimed that the raids were being carried out intentionally. EC under fire: The poll body, which has come under fire for not intervening amid the litany of raids against the Opposition leaders, met with the Revenue Secretary and the Central Board of Direct Taxation(CBDT) on Tuesday and stressed the importance of maintaining “neutrality”. The Revenue Department had on Monday replied to the EC’s earlier advice that actions taken by agencies should be “neutral” and “impartial” with a retort. The Revenue Department said that it understood what neutrality meant and it is the EC that should advise its own officers to look into illicit money. The Supreme Court will give its verdict today on the Rafale case review petitions in which the Centre had raised objections on the admissibility of certain documents by the petitioners. The judgement is expected to be pronounced by 10.30. As per the cause list, two judgements are likely to be sounded by both Chief Justice Ranjan Gogoi and Justice KM Joseph. 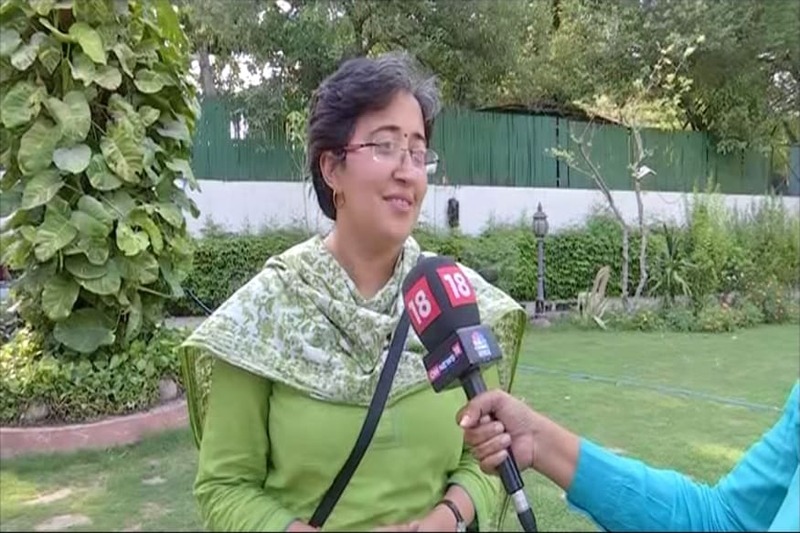 The Centre had during the earlier hearing objected to the admissibility of certain documents that were published by The Hindu and later by news agency ANI on the grounds that they were “sensitive to national security”. Petitioner Prashant Bhushan had at the time maintained that "if a document is relevant in deciding a fact, how it was obtained becomes irrelevant". Following this, the CJI Ranjan Gogoi had said that "in cases of corruption and human rights violations, even sensitive organisations have to disclose information under RTI." A deadly Maoist attack in Chhattisgarh’s Dantewada district on Tuesday killed a Bharatiya Janata Party MLA and four security personnel, two days before polling for phase 1 is set to begin in the state. The Election Commission confirmed later that polling would go ahead as scheduled in the aftermath of the blast that killed Bhima Mandavi, an MLA from Dantewada. Mandavi was in a two-vehicle convoy en route to Kuankonda from Kirandul. 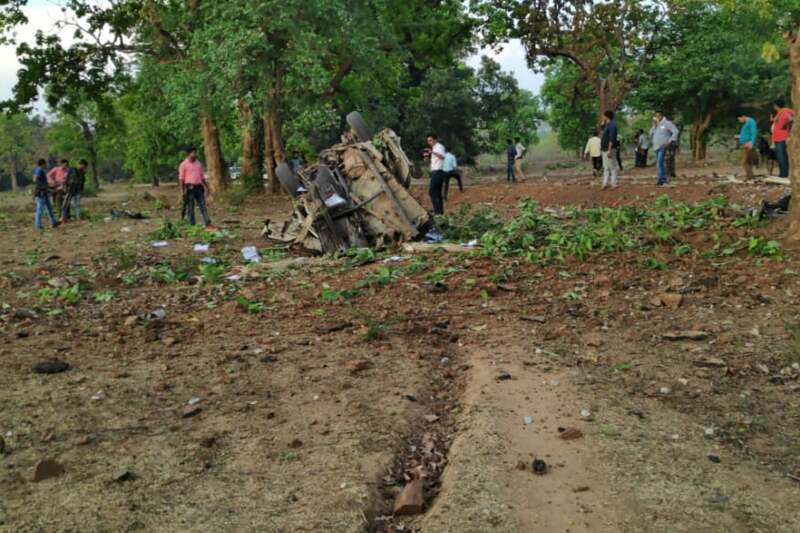 The pilot vehicle, comprising the security personnel, bore the full brunt of the IED (improvised explosive device) attack as it passed over the ambush laid by the Maoists near the Shyamgiri hills. At least three weapons were reported missing from the spot after the attack. In another shocking incident of cow vigilantism, a Muslim man was allegedly beaten up and forced to eat pork by a group of people who were angry over his selling beef in Assam. The victim, Shaukat Ali (48), was assaulted by a group of locals at Madhupur weekly market in Biswanath district on Sunday and required hospitalisation. A video of the incident that has gone viral shows a dazed Ali surrounded by some people who angrily demanded to know from him where he came from and whether his name figured in the contentious National Register of Citizens that intends to weed out illegal migrants. Ali said he had been selling beef at the market for over three decades but never faced such a situation. A man was arrested in connection with the incident and questioned. The Election Commission has taken cognizance of Prime Minister Narendra Modi's remarks asking first-time voters to dedicate their vote to those who carried out the air strike in Balakot and has sought a report from poll officials in Maharashtra. “I want to tell the first-time voters: can your first vote be dedicated to the veer jawans (valiant soldiers) who carried out the air strike in Pakistan? Can your first vote be dedicated to the veer shaheed (brave martyrs) of Pulwama (terror attack)?” Modi had said in his joint rally with ally Shiv Sena chief Uddhav Thackeray in Maharashtra’s Latur on Tuesday. The report has been sought in the context of an EC advisory issued last month asking parties to desist from indulging in political propaganda involving actions of the armed forces. The Congress on Tuesday claimed that the Rafale deal was the "biggest scam" that the country has ever seen and accused the Narendra Modi government of giving "exemptions" to two French companies in selecting offset partners. Congress spokesperson Pawan Khera said the waivers, granted on August 24, 2016, were "exemptions" given to Dassault Aviation and another private French company from having to comply with provisions of the Standard Contract Document of the Defence Procurement Procedure, DPP-2013. He alleged that the waivers concerned two key issues -- the provisions to be made in the offset contracts for arbitration and access to books of accounts of the industrial suppliers, which shows that the deal was a "scam" and certain favourites were "obliged". Andhra Pradesh is looked at as one of the most expensive southern states when it comes to election spending. There’s a huge flow of cash, liquor and other freebies on the ground. In less than a month, cash worth more than Rs 110 crore has been seized by the agencies making it the second-highest seizure in the country. It does not come as much of a surprise in a state where most of the leaders are millionaires. And it isn’t just money, caste also becomes a determining factor during election time with the Kamma and Reddy communities wielding influence within the political landscape. Read Rishika Sadam and Stacy Pereira’s report here. PM Narendra Modi sparked off several controversies for his comments during an exclusive interview with CNN-News18's Rahul Joshi. The PM spoke about AFSPA, Congress' NYAY scheme, Mayawati and the BJP's poll strategy. Here's how the opposition leaders reacted.